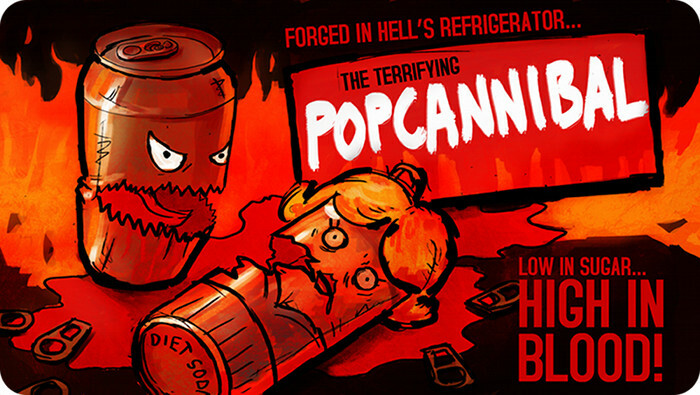 We are Popcannibal. We make unique games. We rocked Xbox Live Indie Games with "Fish Listening to Radio" and iOS with "Girls Like Robots", the 13th best reviewed iOS game of all 2012. Ziba Scott accidentally started Popcannibal and sometimes thinks he should have added "games" at the end of the company name. He can never spell cannibal aloud without hesitation. Luigi Guatieri crawled out from the sea in New Zealand and now draws pretty pictures. Luigi makes eye candy so sugary there's a surgeon general's warning. In his spare time he enjoys arm-wrestling robots. After months of dedicated study at a prestigious online university (hosted on geocities), we have configured our email clients to both receive and send emails.